RWABhagidari - Free News Letter - Subscribe it now ! Labels: RWABhagidari - Free News Letter - Subscribe it now ! 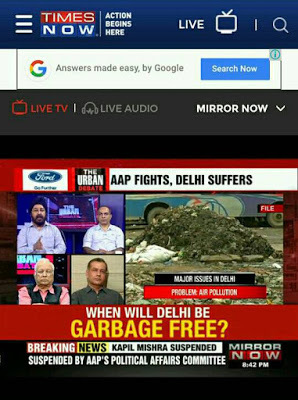 But why they can't control Dengue, Garbage, Waterlogging in Delhi ? 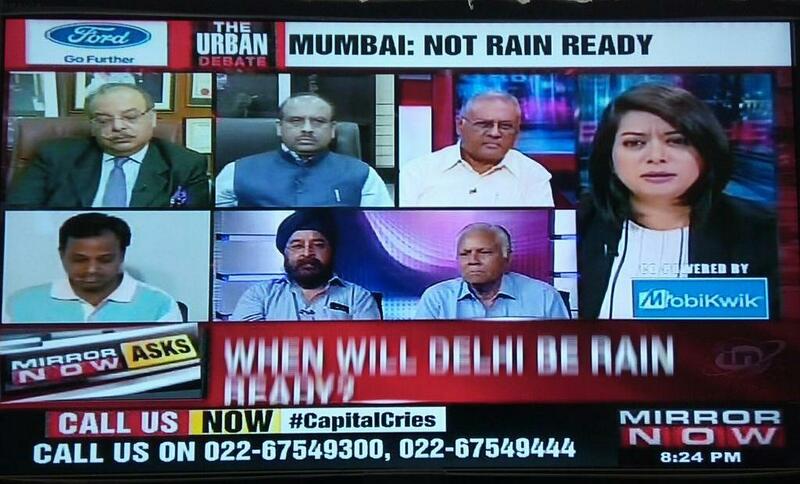 Labels: But why they can't control Dengue, Garbage, Waterlogging in Delhi ? क्या दिल्ली वालों को 900 MGD पानी मिलता है ? क्या दिल्ली वालों को 900 MGD* पानी मिलता है ? दिल्ली जल बोर्ड का टोटल अधिकतम प्रोडक्षन है 900 MGD. अब 900 MGD तभी प्रोड्यूस हो सकता है जबकि दिल्ली को पीछे से पूरा पानी मिले. लेकिन अभी हाल ही मे दिल्ली के डेप्युटी CM मनीष सिसोदिया ने कहा कि हरयाणा से 80 MGD पानी कम आ रहा है. इसी तरह से दूसरे सोर्सस से भी गर्मियों मे पानी कम आता है. अब अगर हम सिर्फ़ 80 MGD को ही मान के चलें तो इसका सॉफ मतलब है कि दिल्ली मे पानी का प्रोडक्षन 80 MGD कम होगा. यानी कि इसका मतलब हुआ 900 MGD से 80 MGD कम. बाकी बचा 820 MGD. अब अगर दिल्ली जल बोर्ड 820 MGD पानी प्रोड्यूस करता है तो क्या सारे का सारा पानी दिल्ली के लोगों को मिल जाता है ? आप ने अक्सर देखा और सुना होगा कि कई इलाक़ों मे नलकों से नालियों का गंदा पानी निकलता है. ऐसा इसलिए होता है कि दिल्ली जल बोर्ड की पाइप्स मे और हमारी अपनी पाइप्स मे लीकेज (Distribution Losses) होती है. जब पाइप्स मे प्रेशर नही होता, तब नालियों का पानी अंदर घुस कर लोगों के घरों मे पहुँच जाता है. लेकिन जब पाइप्स मे प्रेशर होता है, तो उन्ही लीकएजस मे से पानी रिस कर नलियों मे या फिर ज़मीन मे चला जाता है. अब अगर हम इस लीकेज को कम से कम भी मानते हुए 10% की फिगर ले लें, तो पानी बचता है 820 MGD से 80 MGD कम. यानी की 740 MGD. क्या दिल्ली वालों को 740 MGD पानी मिलता है ? आप खुद सोचो कि कई इलाक़ों मे ऐसे प्लांट लगे हुए हैं जो केन्स मे भर भर कर पानी बेचते हैं. टॅंकर घोटाले का नाम भी खूब चल रहा है. वैसे तो आप को पानी नही मिलेगा लेकिन अगर पैसे दे दो तो तुरंत टॅंकर आपके घर पहुँच जाता है. इसका सॉफ मतलब है कि दिल्ली जल बोर्ड के पानी की चोरी भी हो रही है. अब अगर इस चोरी को हम कम से कम 5% भी मान लें, तो भी 740 MGD से 40 MGD कम कर के, पानी बचता है 700 MGD. जबकि पानी की डेमांड गर्मियों मे 1300 MGD से भी ज़्यादा होती है. इसका ये मतलब हुआ कि दिल्ली वालों को अपनी ज़रूरत का लगभग आधा पानी ही मिल पाता है इन तपती हुई गर्मियों मे और वो भी अगर हम लीकएजस, चोरी इत्यादि को कम से कम मान के चलें. क्या दिल्ली जल बोर्ड के पानी की लीकएजस और चोरी कम से कम होती है ? अब अगर ये लीकएजस और चोरी कम से कम ना होकर कही ज़्यादा होती हैं, तो उसका मतलब होगा कि दिल्ली वालों को पानी और भी कम मिलता होगा, तभी तो हर गली मोहल्ले मे लोग पानी की कमी से परेशान नज़र आते हैं. Labels: क्या दिल्ली वालों को 900 MGD पानी मिलता है ? With great interest i have read your article. You will be aware of the facts that there are thousands of Group Housing societies in Delhi where lakhs of people are living. Only Single bulk supply connection has been provided in each society. Now what happens, the managing committee collects the maintenance charges and pay bill. Now people have habit that they have to certain amount and more than 50% people waste water as they have to pay fixed collective charges. Cooperative group Housing Society are the first in wasting water. Repeated request to DJB to provide individual water connection have the same reply as per policy we provide only single connection in CGHS. If individual connection is given than every one will be forced to consume water economically. 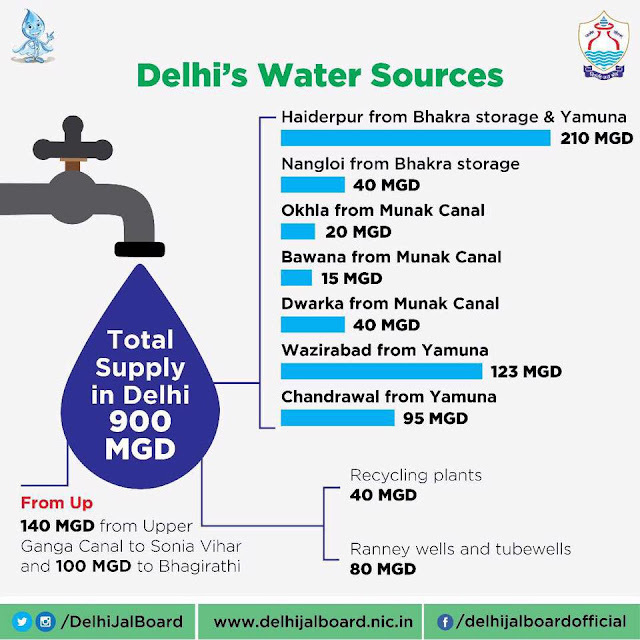 It will result in More Revenue to DJB and demand IN CGHS will be reduced drastically hoping for Delhi Govt will amend the policy and provide individual water connection in CGHS also. This is in reference to the above mentioned subjectline that Group of Counsellor want to visit and organise Group Meet on Saturday and Sunday with diverting Examinee from declaration of their results of 10nth and 12th with some alternative Courses and Counseling (Free of Cost).Concerned Parents can write us and our team would be in their door step on Sunday (21.5.17). LESS : Any decline in production due to less intake from Munak & Bhakhra etc., presently being said to be around 80MGD. 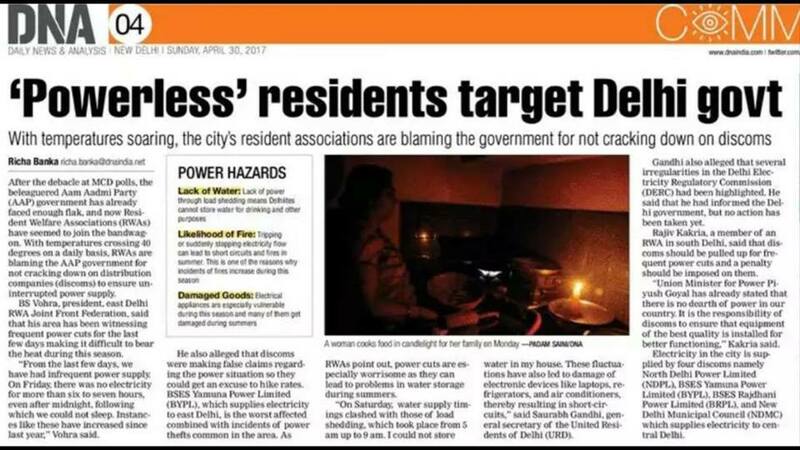 LESS : leakages & wastages in the Distribution of Drinking water, due to faulty pipelines, which is definitely a significant figure. LESS : Thefts & pilferages all over by the illegal vendors, who are doing brisk business during this season. As a result, the actual availability of Drinking water is much lower than the actual Demand and that is the main reason of hue & cry all over, in the city. Since last many years, it has become a regular phenomena. During summers we face severe shortage of Drinking water and during monsoon, this precious water goes to drains, unaccounted. 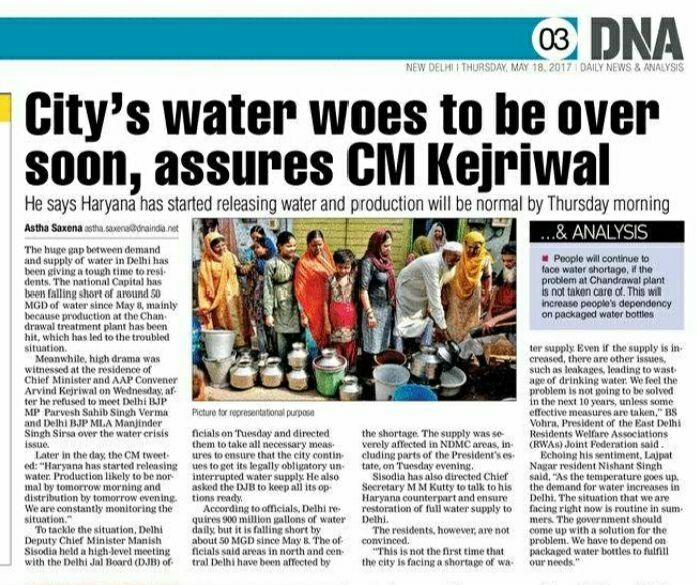 The local Government’s have never initiated the Rain water harvesting, in its full spirit, in various MCD & Delhi Government parks, that can truly raise the water levels for the benefit of residents. Water bodies are neither being suitably revived nor being created, any where, to store the monsoon water. There are no visible efforts to check and control leakages, wastage, thefts and pilferage. Authorities just try to pass on the buck to others, in the blame game and just wait for the monsoon to come, to ease the situation. Therefore, we don’t expect that situation will ever improve, even in the years to come as the population pressure will always be there, in the absence of adequate efforts. पहली नज़र मे तो आज लगा कि मामला गड़बड़ है. पर बात डिपेंड करती है सबूतों पर. किस तरह के सबूत हैं ओर उनकी क्या वेलिडिटी है. अगर सच मे सबूत हैं तो भी क़ानून का अपना प्रोसेस है. हर चीज़ मे वक़्त लगता है. वकील भी होंगे, दलीलें भी होंगी, तब कहीं जा कर कोई फ़ैसला होगा, वो भी अगर हुआ तो. ऐसे मे पहले ही दिन ये बोल देना कि शाम तक इस्तीफ़ा दे दो नही तो कॉलर पकड़ कर तिहाड़ मे डाल दूँगा, कुछ ज़्यादा ही होता लग रहा है. आप सच बोल रहे हो या झूट, किसी भी हालत मे आप क़ानून से उपर तो नही हो सकते. आपने अपने इल्ज़ाम लगा दिए, अब देखी क़ानून क्या कहता है. इल्ज़ामों के बाद अब जोश नही होश और संयम की ज़रूरत है ताकि बात को सही ढंग से पेश किया जा सके. क्योंकि क़ानून का तो यही कहना है कि कातिल भले छूट जाए, लेकिन, किसी निर्दोष को सज़ा नही होनी चाहिए. Nutrivarcity's Healthy places help build healthy environment ! Our workshops help youth programs build those healthy places and integrate education that enables youth to make healthy eating choices balanced with physical activity. Please feel free to mail for more details. ​Property Tax for the Year 2017-18 became due on 1 April 2017, but most of us pay during the month of May. 1. Print the Challan and pay at the counters or HDFC/AXIS Banks. The official Receipt is available only after a month or so. Lot of paper work is generated and is time consuming. In the bargain, Banks make money out of MCDs and us. 2. Generate the challan and pay by Credit / Debit Card. This is simplest. Saves lot of paper work, time and effort. The official receipt is available, the moment transaction is completed. It is a WIN WIN situation for all. Please give it a wide publicity. Having gone through the views on the subject, I personally feel that Yes, RWA is the main functionary in the area and they know, where the maintenance/development work is needed and to be done and hence it is really a very logical and realistic view that some persons, at least two in each MCD, should be nominated from the present or ex- RWA office bearers or their members by fixing a formula for the same. Our RWA has been in existence for the last 23 years and hence, I support the views expressed that each MCD, should have a representation of those RWAs, who are registered in the Bhagidari There are so many retired executives and other personalities available in different areas of Delhi, whose services can be availed to strengthen the MCDs and for their efficient working in the best interest of the residents. 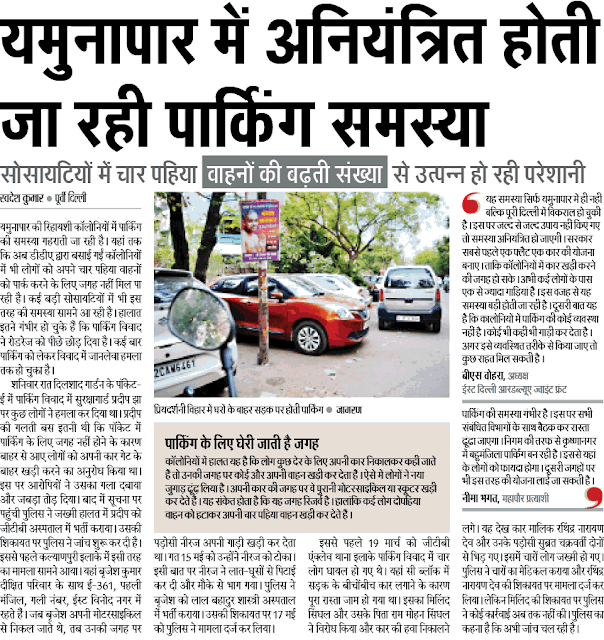 Can Apolitical RWA persons be nominated as the Alderman ? My response to the suggestion to Dy. CM Mr. Manish Sisodia, moved by Mr. B.S. Vohra ..... pls read the folloing Link before you proceed to my views. Mr. B.S.Vohra has indeed raised an interesting question. The practice of appointing Alderman has been prevalent for many years, but this is the first time someone from the RWA fraternity has raised it. My first reaction was IS IT NEEDED ????? ...... soon it dwelled upon me that the position was created by the founding fathers of the constitution to create checks and balances, in case public in its wisdom by a majority vote in the First Past The Post System elects a person who may be popular in his/her community but may not be acceptable to all or may not be qualified enough to understand Governance Technicalities. Today this post has taken greater significance as our Elected Representatives do not any longer THINK OF THEMSELVES AS OUR REPRESENTATIVES ...... but soon impose themselves as our Leaders, we are ourselves to blame for that, because once elected we pamper them with GARLANDS AND BOW to them not as one of our own but as one above us .... OUR LEADER. THIS LEADER in turn becomes a BONDED LABOUR OF THE POLITICAL PARTY he represents as the Draconian ANTI DEFECTION LAW ties him/her to the PARTY HIGH COMMAND’S DIKTAT ...... throwing to the winds his own or his Constituents Wishes. This process results in Travesty of Democracy as in today’s times in the First Past the Post system a Party with 33% vote of the average 60% voter turnout ....... effectively rules with fewer than 20% popular vote, ends up IMPOSING ITS WILL on 80% people who may have differing views on how to be Governed. RWAs in the past two decades (with all its short comings) have to a large extent managed to some extent, place a check on the whimsical way the TRINITY OF NETA, BABU AND VESTED INTERESTS have systematically looted the city ....... be it on education, infrastructure, sanitation, health, security or general quality of life. BUT FOR RWAs things could have been much worse ......... MPD 2021, Power Bills, Playgrounds etc were all issues that the RWAs managed to keep a check on. Working of RWAs is like a complex network of 'Wells' that fulfil the needs of a specific area from which they operate ..... Like the village Well caters to the specific needs of a particular area. The functions are very similar of all RWAs ...... Most people involved are happy doing their small bit in the given circumstances and have no ambitions of going beyond as they are happy contributing in small measure to their immediate surroundings. The various RWA joint fronts or groups have tried to engage the 3000 odd RWAs in Delhi to a common cause and have succeeded to some extent (like on Power Bills) ...... But more often than not it has been noticed that most people are happy restricting themselves to their area of operation ..... 'Their Well'. The true strength of the RWAs is impossible to quantify as each Well is important .... collectively they have yet not realised their Actual Might ....... like the Village Panchayat., Khap Panchayat, Jat Andolan, Gujjar etc. The day all the Wells find a way to connect ..... No Lake, River or Ocean can match their Collective Utility to serve society. Reason enough that all Political Parties give lip service to RWAs but do not pass a law to formalise RWAs and give them a Constitutional toe hold. This is a complex issue and needs detailed understanding ....... Many stalwarts have worked on it for the past decade and all Political dispensations have tried to use this lose formation to gain Political control ..... Bhagidari by Congress, RWC by BJP and Mohalla Sabha by AAP. Political workers have even infiltrated RWAs and have taken control, EDGING OUT THE GENUINE SOCIAL WORKER, who does not want to indulge in bickering. So much so RWAS HAVE BECOME THE NURSERIES FOR BUDDING NETAS. A few of us have resisted such attempts as we want an Apolitical RWA setup and not an extended arm of the Political dispensations’ in power at a given time (like various student unions), vanishing when the Party loses office as in case of Bhagidari after Shiela Dikshit. In conclusion, I support the idea floated by Mr. Vohra ..... though I doubt it, that the Political class will be willing to cede their space to genuine Socially Conscious Individuals with impeccable credentials ...... THE REASON FOR MY CYNICISM is on view in Rajya Sabha which has become a SANCTUARY OF PUBLIC DISCARDS and the Likes of Vijay Mallya ....... defeating the very purpose for which such Provisions were created. Labels: Can Apolitical RWA persons be nominated as the Alderman ? I totally endorse the views expressed by a couple of RWAs. You befit and are an eminent person to fit in! With your vast influence and PR with all higher authorities you could sponsor your case so that all those who are members of the confederation could derive the benefit and you will be able ventilate our common grievances aptly and forcibly to make an impact on the governing body. Similarly, the President/Secretary of the Federations in East Delhi representing the various RWAs could also be considered for the purpose. All these people are more knowledgeable than the so called elected representatives to the EDMC etc, as they (the former) know the pulse of the people at large and resolve their grievances in phases. Having been elected for the third consecutive term and having done little in the past two terms, it is now ripe time to arise, awake and do something for the welfare of the residents living in various colonies who are crying for help to overcome their outstanding and perenial problems! 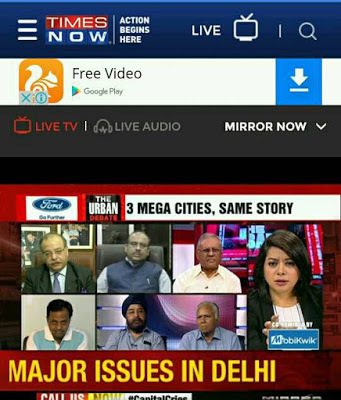 It is good that RWA Peoples are nominated to MCD it will increase the efficiency as in all RWA have one or Two eminent persons experts in different Fields. If the Govt is not interested in Taking RWA peoples in MCD than They must constititute advisory Committee for each MCD having RWA peoples as members. this is my view on the issue. RWA is life line of the City. 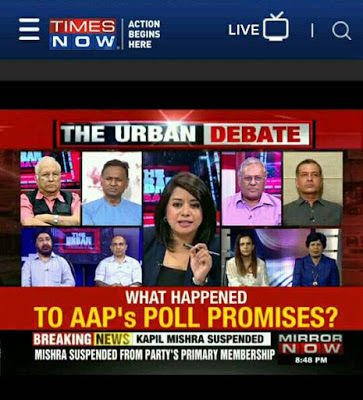 Its really a very logical and realistic view that some persons (at least two in each MCD) should be nominated from the present or ex- RWA office bearers or their members by fixing a formula for the same. There are so many retired executives and other personalities available in different areas of Delhi, whose services can be availed to strengthen the MCDs and for their efficient working in the best interest of the residents. आख़िर कब तक सब कुछ यूँ ही चलता रहेगा ? कब तक हमारे जवान, इसी तरह से शहीद होते रहेंगे ? कब तक हम उनको शरधांजलि देते रहेंगे, नमन करते रहेंगे, पुष्प चढ़ते रहेंगे या फिर कॅंडल मार्च निकाल कर अपना दायितव पूरा करते रहेंगे ? ये लोग राजनीति करने नही, राजनीति सिखाने के लिए आए थे. लेकिन हालात ये हैं कि सत्ता के गलियारों मे, इनके आपसी रिश्ते तो वेंटिलेटर पर पहुँच चुके हैं, और अपने मनमुटाव दूर करने के लिए भी, प्रेस कान्फरेन्स को ज़रिया बनाया जा रहा है. ऐसे मे रिश्ते वेंटिलेटर पे दम तोड़ देते हैं या फिर उनको कोई संजीवनी मिल जाती है यह तो आने वाला वक़्त ही बताएगा. पर इतना तो ज़रूर है कि इस भागम भाग, इस तोड़ फोड़, इस लड़ाई झगड़े मे अगर कोई लुट रहा है, तो वो है दिल्ली वाले.